Fantastic service throughout and a great job done. I can highly recommend Jenkor. Your team has always been helpful and tried to assist wherever possible. Professional, efficient with excellent service and prices … highly recommend Jenkor!!!! Hi Kobus & office staff. Many thanks for your prompt response to my RFQ, your quotation and advice. The job was done magnificently and I can’t wait to see the final product. We paid the balance this afternoon. We are delighted with the work you have done and for accommodating the finicky and difficult sections with your professional expertise. Well done to you and your team. Much appreciated! I would like to express my thanks to you and your team for a the very good work, done quickly and to a high standard. You guys are awesome, as always. It has never been anything but amazing, the staff are ALWAYS so friendly, warm and eager to help in anyway possible no matter what….. I only buy from them. Thanks for the opportunity to comment. I have only had good service from both the staff at the office and the crew doing deliveries. Although price is always an important factor, I believe one should look at the whole picture. Friendly staff when placing order and prompt mailing of invoices. Hi Tayla thank you for your great service. Much appreciated. was competed. Despite the weather the contract was completed speedily and can only be described by one word – Excellent! Thank you very, very much. What a great job . Jenkor have provided reliable service for many years. Highly recommended. Thank you Kobus to you and your team for transforming our “desert” into such a beautiful area. Your crew are all highly efficient and experienced and we couldn’t have asked for anything better. We highly recommend Jenkor. We are writing to express our deepest thanks for your recent donation to Table View Angels. Generous gifts from donors like you provide the financial and moral support needed to continue our mission to help desperate families. With your contribution, you’ve demonstrated your deep commitment to our work of feeding the hungry, clothing the desperate and helping that single mom clothe her babies and have the courage to find suitable employment and become self-sufficient. We look forward to a continuing partnership with you. What a refreshing experience to work with tradesmen that are punctual, friendly and efficient. I would be happy to recommend Jenkor to anyone interested in their services. Thanks personally for your outstanding service and Jenkor as a whole for making my life a lot more stress free with your thorough assistance. As I’m not a builder this has been most appreciated. The staff at Jenkor are outstanding. Never too busy to listen and help even with suggestions. Effecient speedy service that makes you feel you are not just a number but a valued customer no matter how big or small your order. Well done and thank you.. Thank you Gary and Candice for always giving me and my little school the best service. My garden is a fun space because of you. Thank you so very much. I would like to thank you and your crew for the outstanding work they did. Their workmanship and ethic is outstanding. I am extremely pleased with the end product. 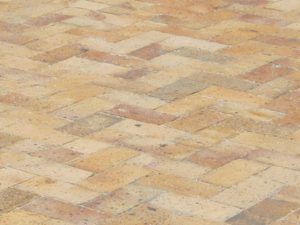 Jenkor Brick Sales - Supplying clay bricks and cement bricks, cement building blocks, retaining wall blocks, sand, and stone, as well as the supply and laying of new paving using decorative stone, cobbles, paving bricks or the latest simulated stone paving slabs. Brick sales in the Southern Peninsula, Cape Town.